Logan said the idea for this research came from one of her earlier studies, which found that about one-fourth of children in a national sample were never read to and another fourth were seldom read to (once or twice weekly). “The fact that we had so many parents who said they never or seldom read to their kids was pretty shocking to us. We wanted to figure out what that might mean for their kids,” Logan said. Unlike older, controversial word gap studies that physically recorded the conversations of families of different socioeconomic statuses, Logan’s study counted the words in highly circulated children’s books, then multiplied those numbers by how many books per day a family might read. 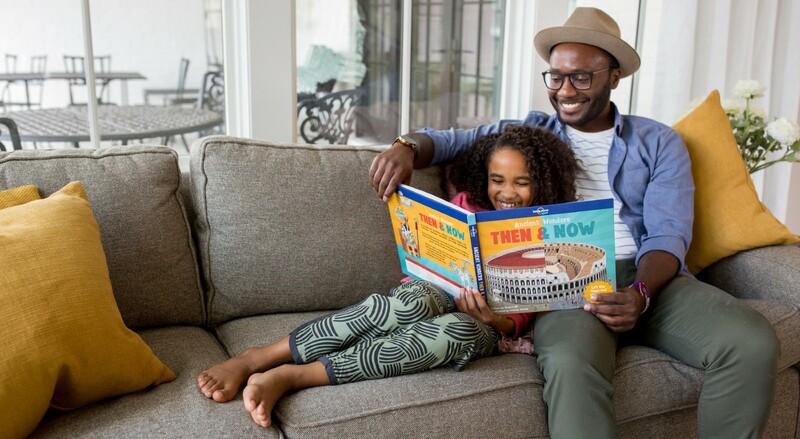 Board books (which they assumed parents would read until age 3) contained an average of 140 words, while picture books contained an average of 228 words. This means one children’s book a day contributes 296,660 words by kindergarten, and five books a day add up to 1,483,300 words by kindergarten. The benefits of reading with our kids are clear. 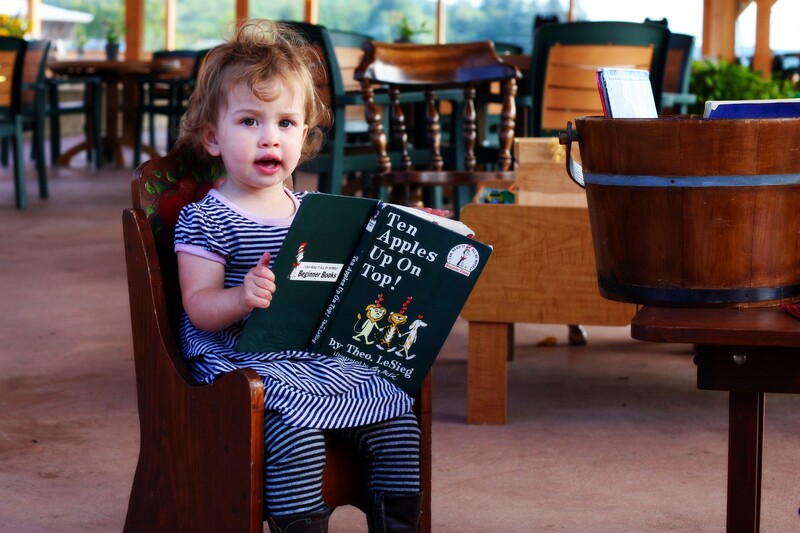 So how do you start incorporating more children’s books into your life? Put books in your daily routine. Try snuggling together with two books before nap, then three books before bedtime. Emphasize having special time together, rather than actively learning to read words. This calm-down cuddle-time will give you and your little one happy hormones that they’ll associate with reading. Go beyond the words. Stop to ask questions, even when your kid is too young to answer. Tell them what you like and don’t like about a book, what the book reminds you of. Point out the pictures; discuss what the characters are probably feeling and why. Read paper books, not books on a screen. A 2018 study in the journal Pediatrics found that 2- and 3-year-olds and their parents all verbalize more when reading print books rather than books on a screen. The words in the books are great, but so are all the other words you say to each other when sharing a book. Make going to the library a regular part of your week. There are even storytimes for babies, where you’ll learn new songs to sing to your baby and connect with other families. If the library becomes an integral part of your life, a love of books will follow. Quantity matters. Across the world, having more books in your home is an indicator of increased literacy. This study, in the journal Social Science Research, found a home library of 80 books equates to average literacy rates, while literacy rates continue to rise until about 350 books. Interestingly, numeracy and problem solving skills also rise with a larger home library. The good news is you don’t have to pay for these books. Ask your librarian how many books you can check out at a time; at my library, there’s no limit, so we fill our bookshelf with library books. A huge variety of books will keep you and your kids interested. When you find an author/illustrator you love, check out all their books! Discover new interests by picking out books at random. My family took part in a program at our local library called 1KB4K, or 1,000 Books Before Kindergarten. See if your library offers something similar. We received a 1KB4K tote bag and papers to record all the books we read. Once we got to 1,000 books, my daughter got to pick out a free book (she chose ¡Esperar no es facil!) and her photo was taken and hung on the library wall with the other readers. She felt so proud, especially when she realized her accomplishment inspired many of her friends to take part in 1KB4K too! Books are a relatively new invention, but humans have probably been repeating stories since language first developed. As the classic Rosemary Wells’ book says, “Read to your bunny, and your bunny will read to you.” Young kids love repetition. You might be sick of reading Goodnight Moon again, but it all feels worth it the first time they turn the pages and proudly recite the entire thing back to you. If your child is older and doesn’t already love reading, keep trying. Ask a librarian to help you find books on whatever your kid’s into: helicopters, kittens, unicorns. There are books about everything. And I haven’t found a single 4-year-old who doesn’t love the hilarious Elephant & Piggie books by Mo Willems.